The widget offers a number of styling options for dual heading. 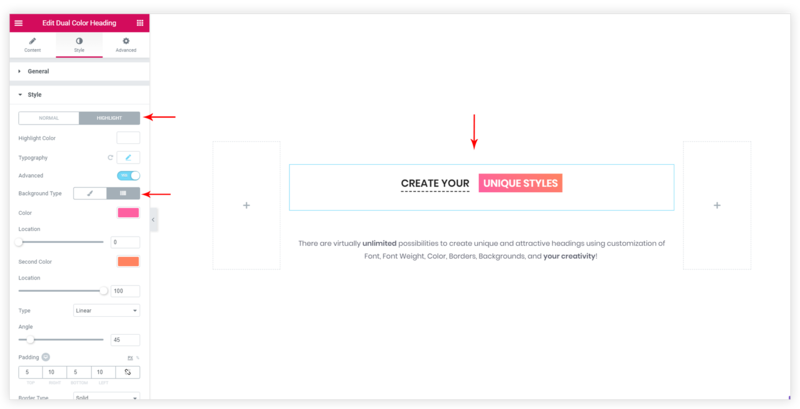 Options can be found under Style (tab) > Heading Style. More options are available with Advanced toggle. You can use NORMAL and HIGHLIGHT tabs to set style. 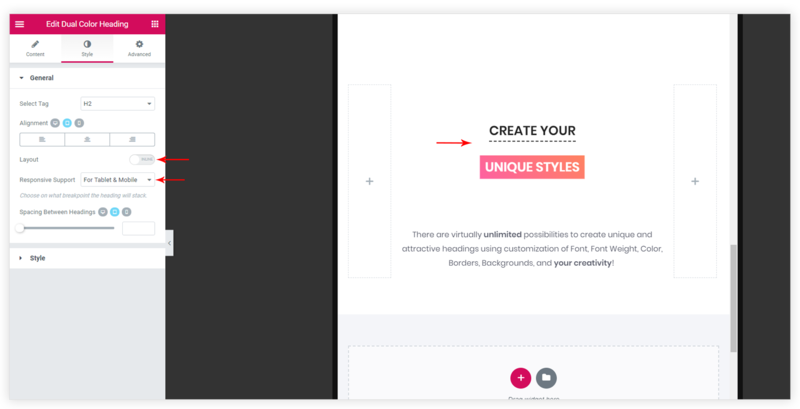 Setting can be found under Style (tab) > General > Layout. Heading can be displayed inline or can be stacked. Inline heading can be set to stack on responsive devices.